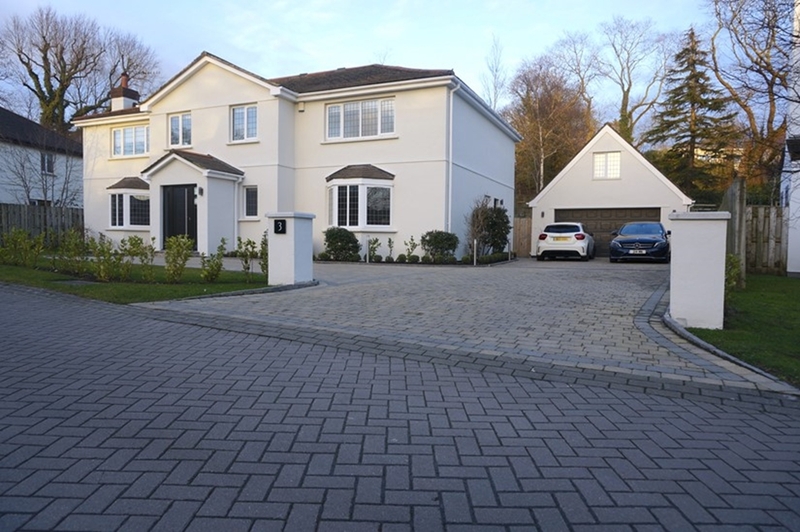 Directions: From Peel Travelling Towards To Douglas, At The First Set Of Traffic Lights In Glen Vine Turn Right Onto Glen Darragh Road, A Short Distance along Take the First Left Into Glen Darragh Gardens Where The Property Can Be Located On the Left Hand Side. 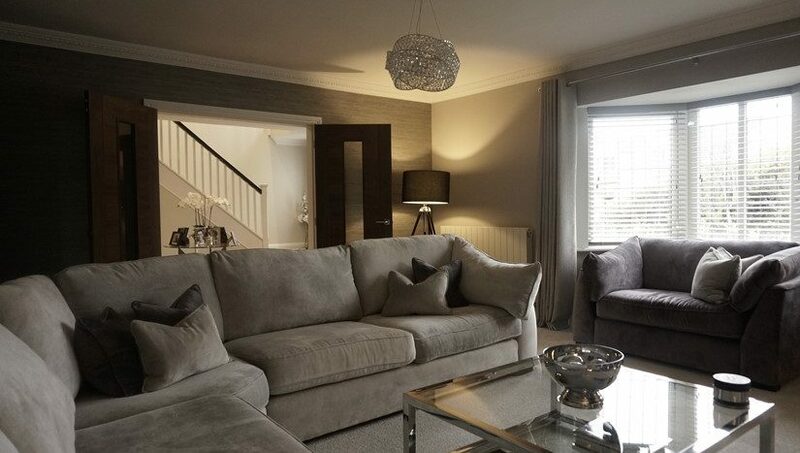 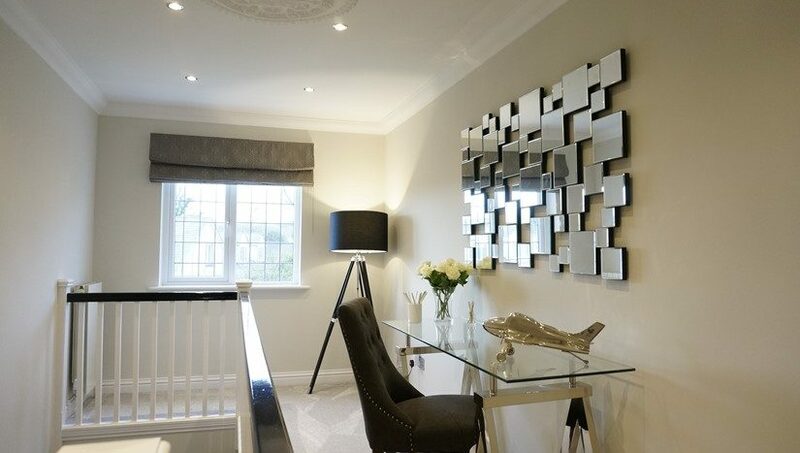 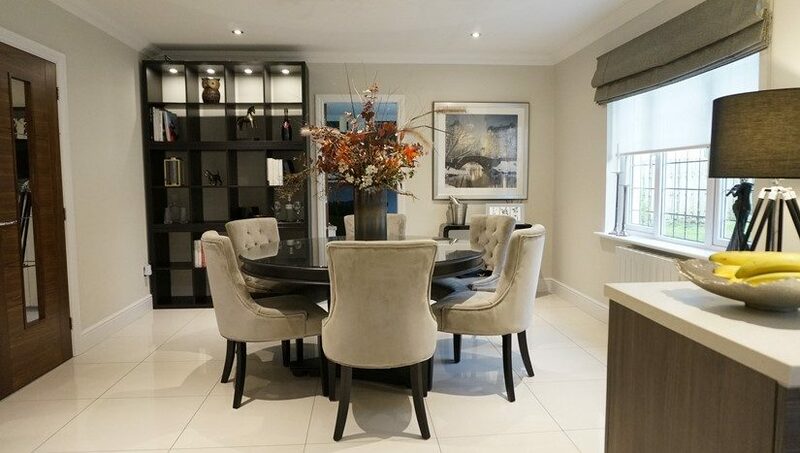 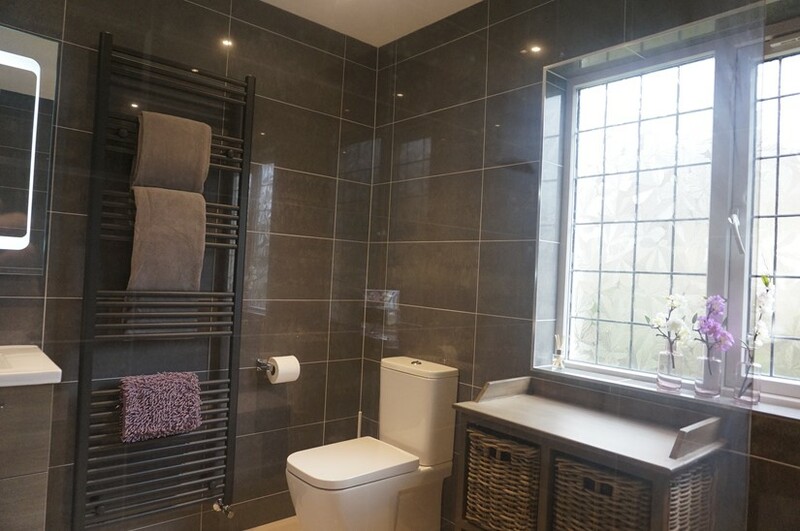 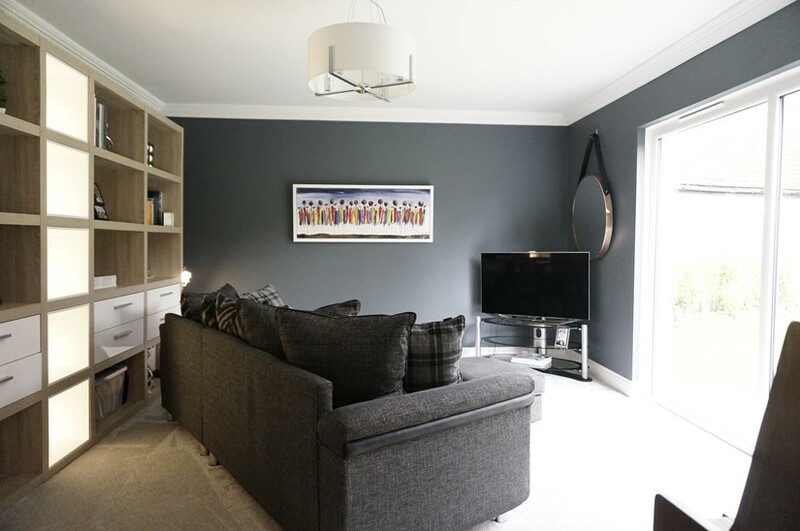 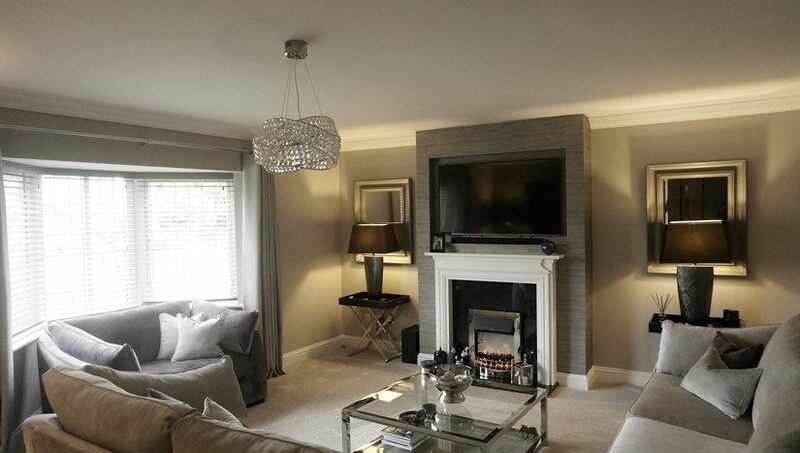 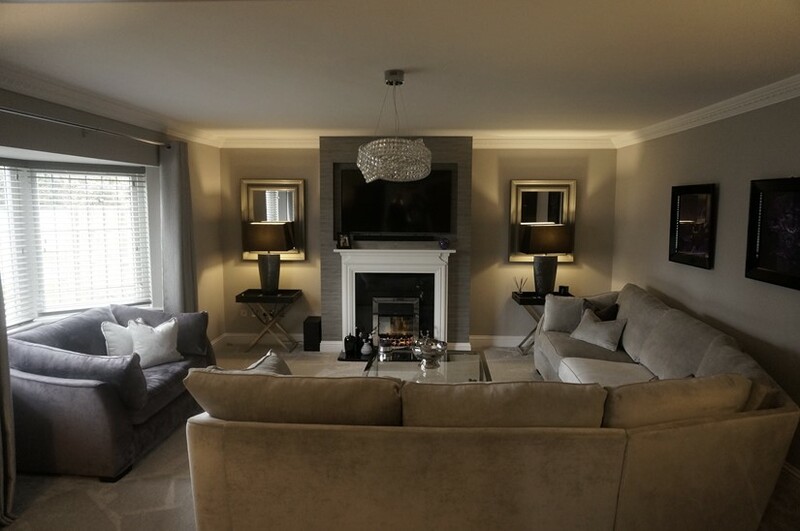 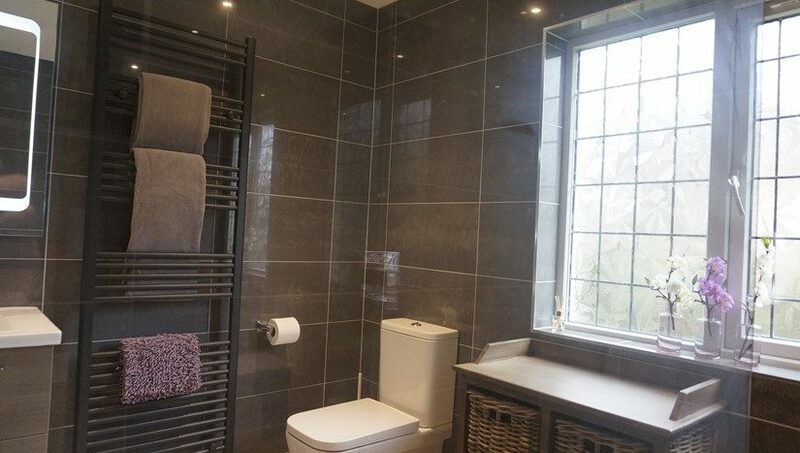 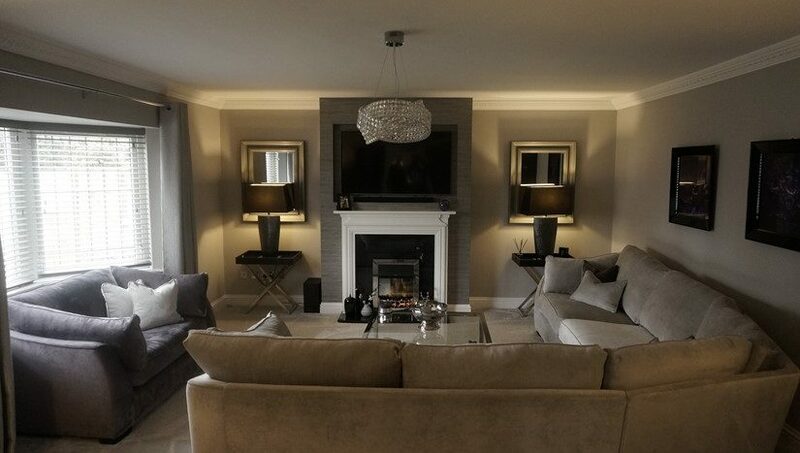 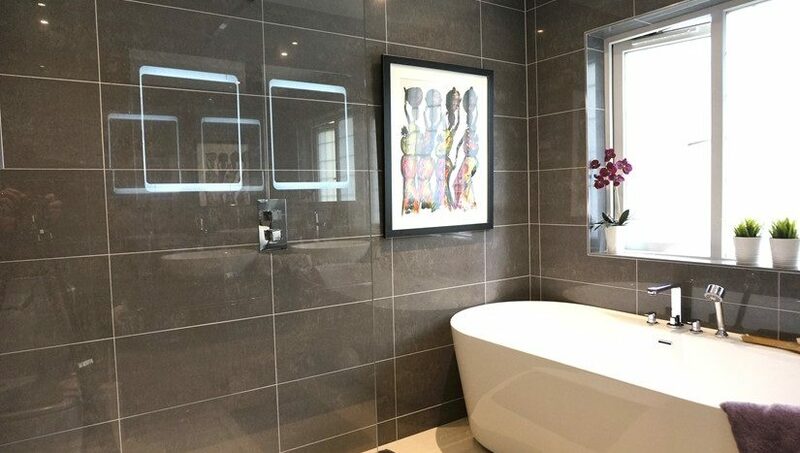 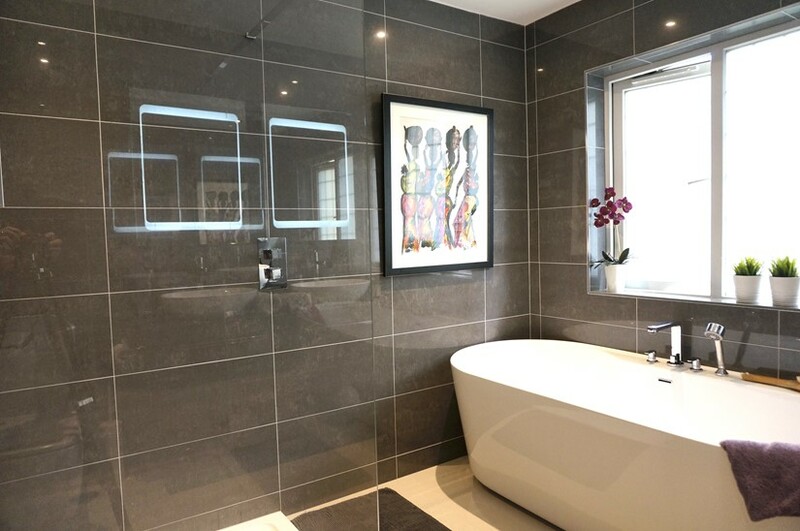 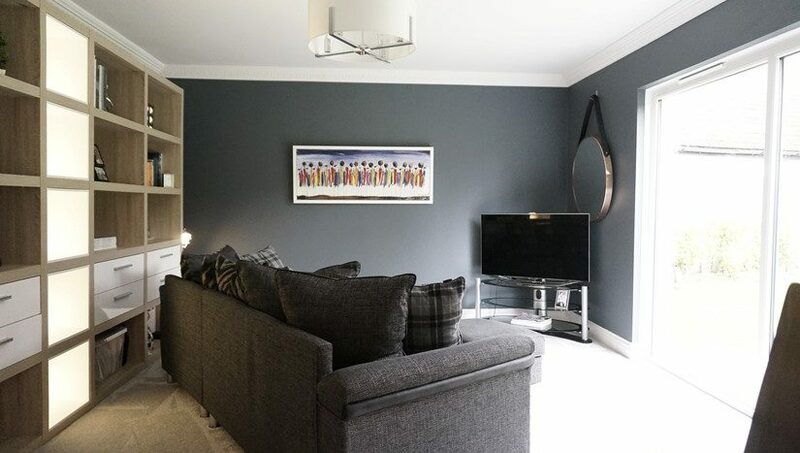 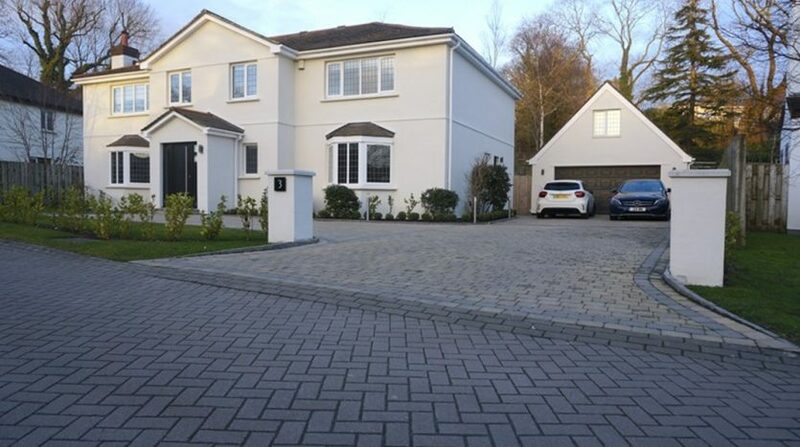 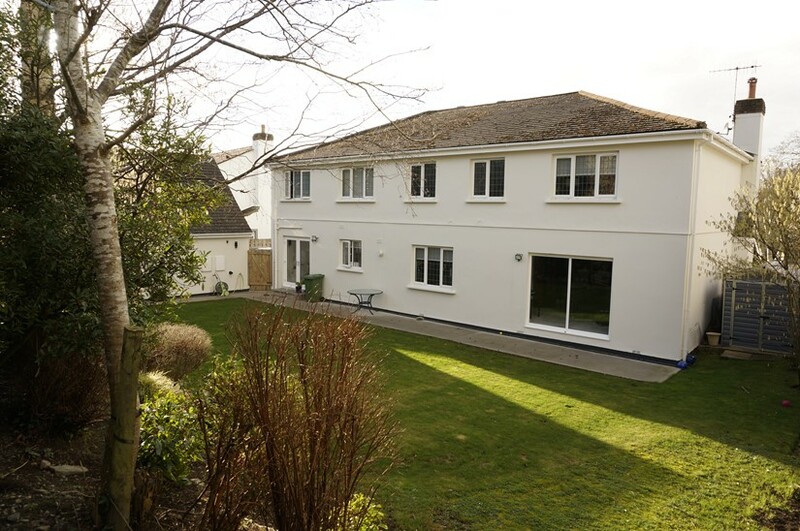 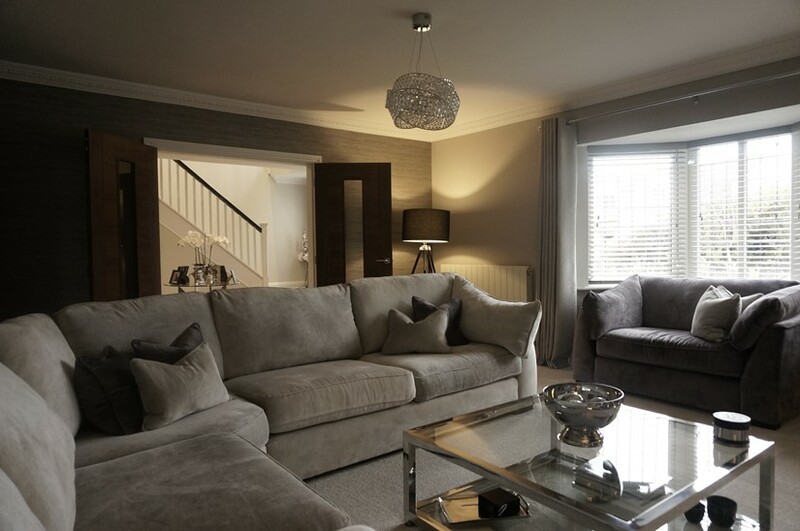 A Stunning and Spacious Executive 4 Bed 4 Bathroom Family Home Fully Modernised and Beautifully Decorated Throughout to an Extremely High Standard. 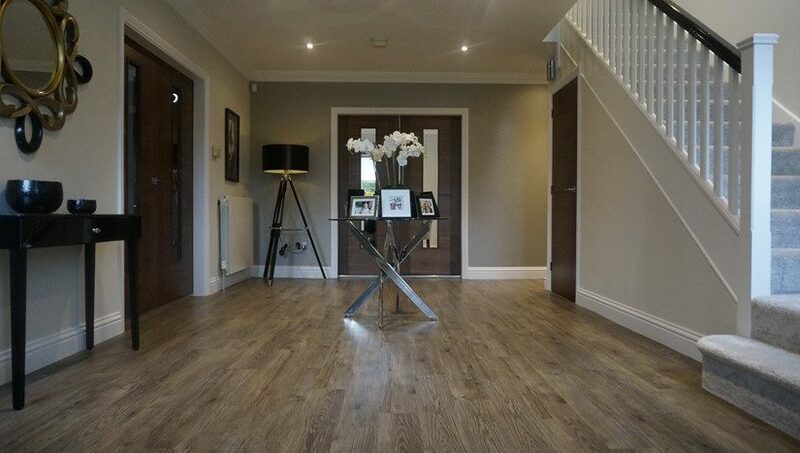 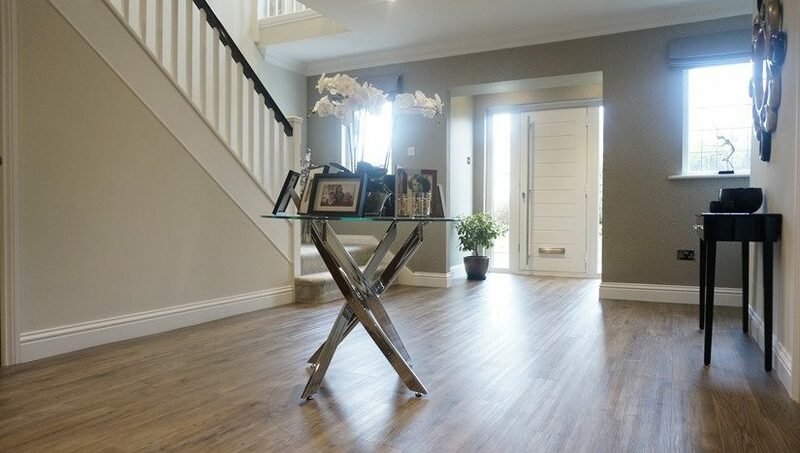 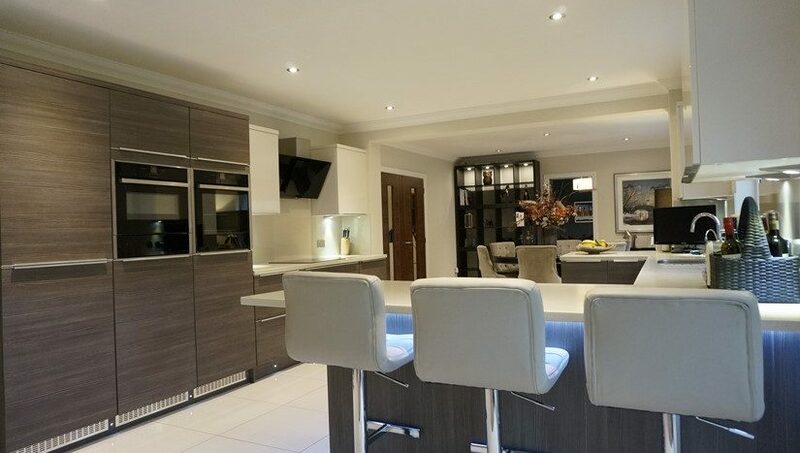 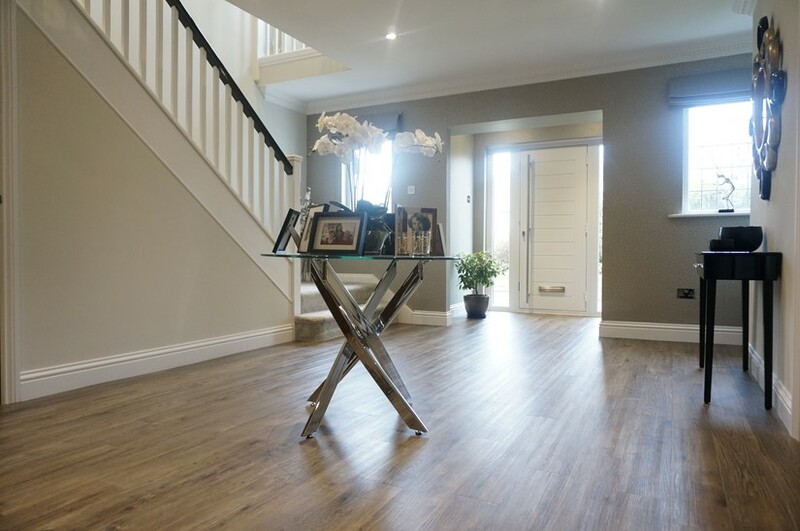 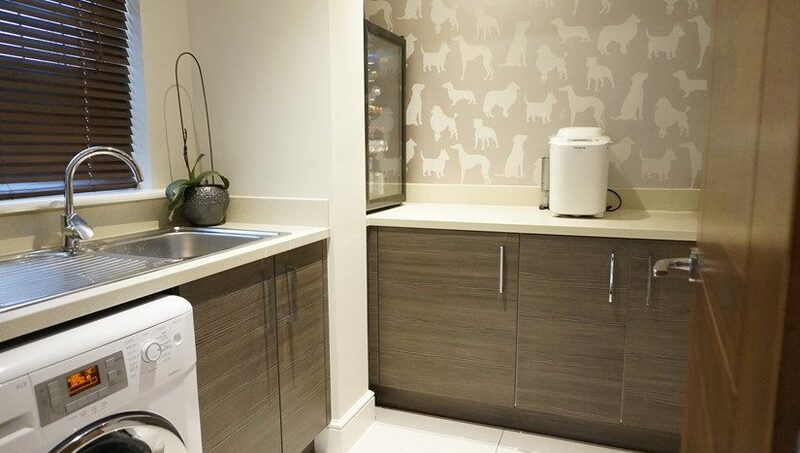 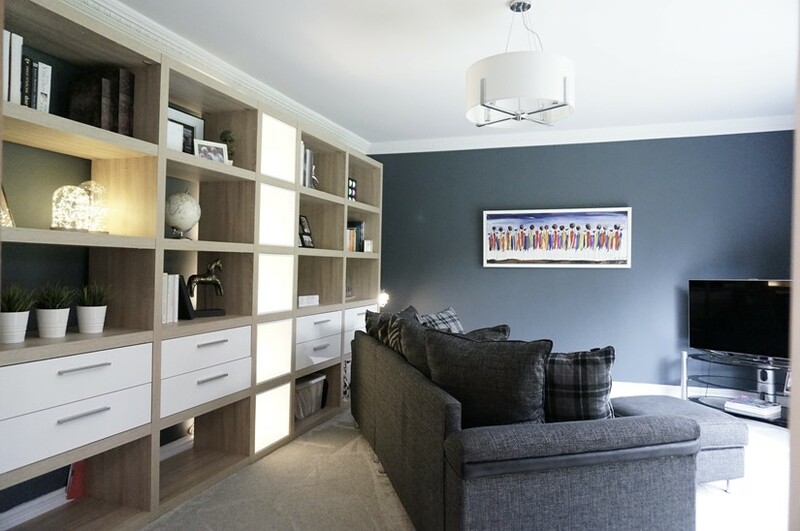 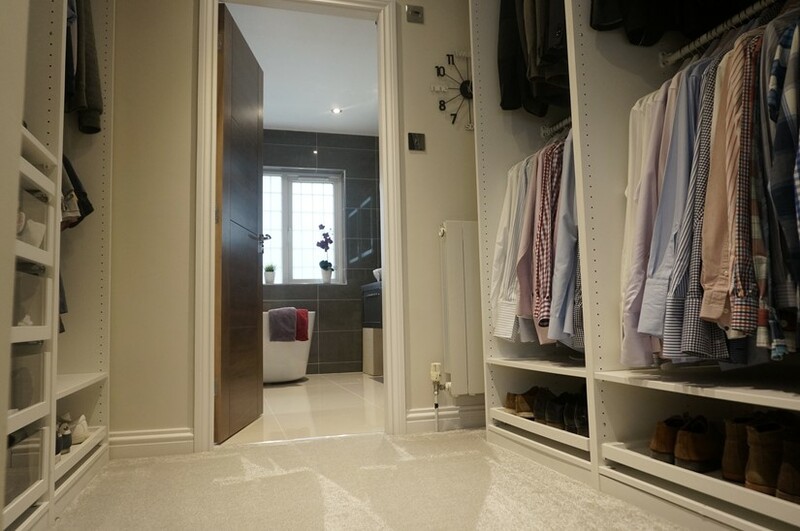 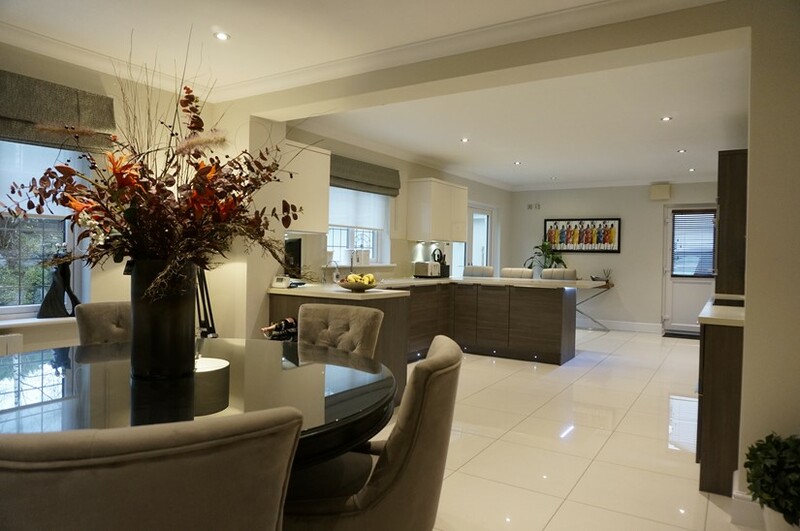 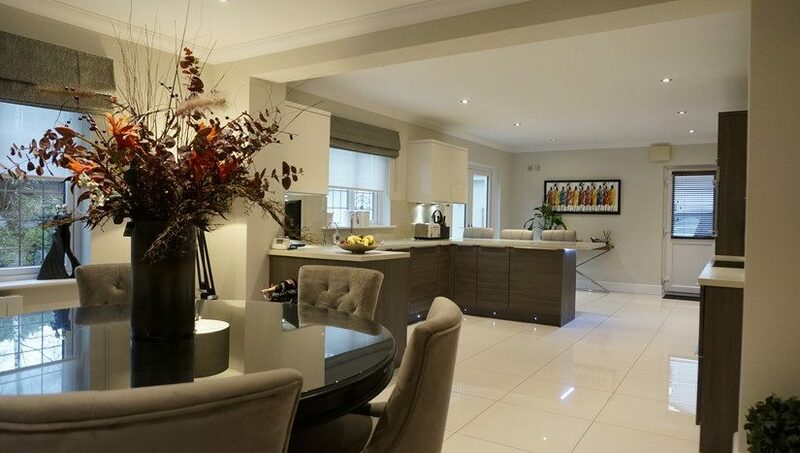 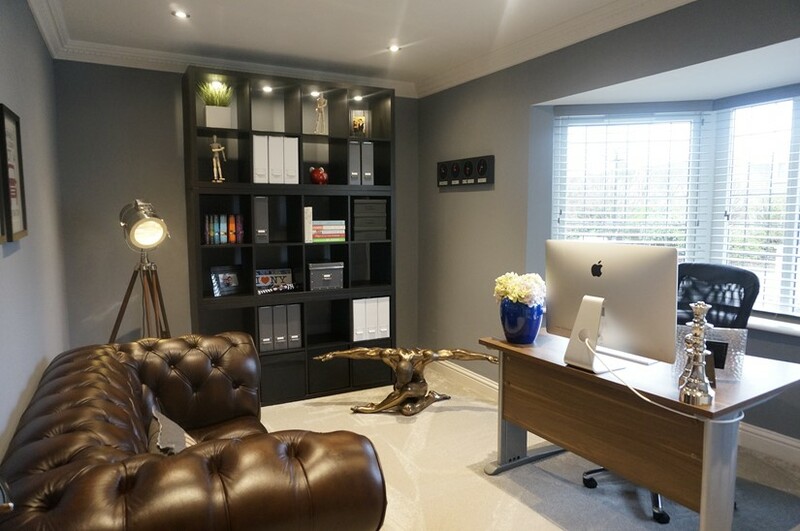 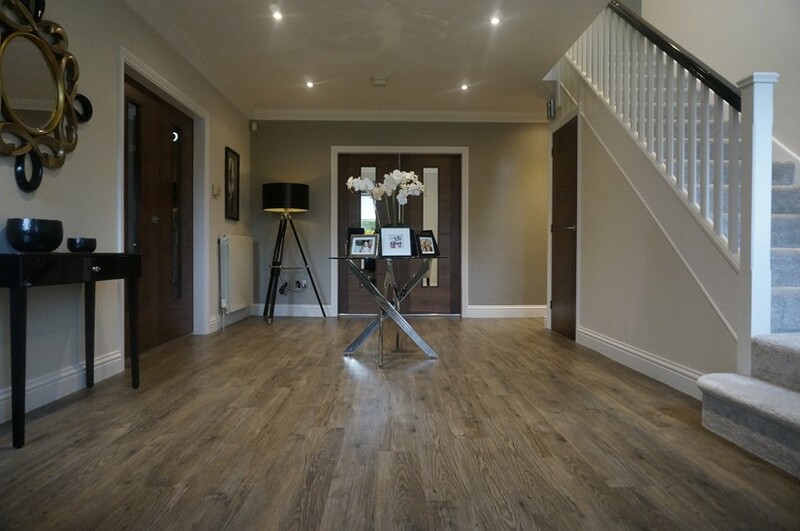 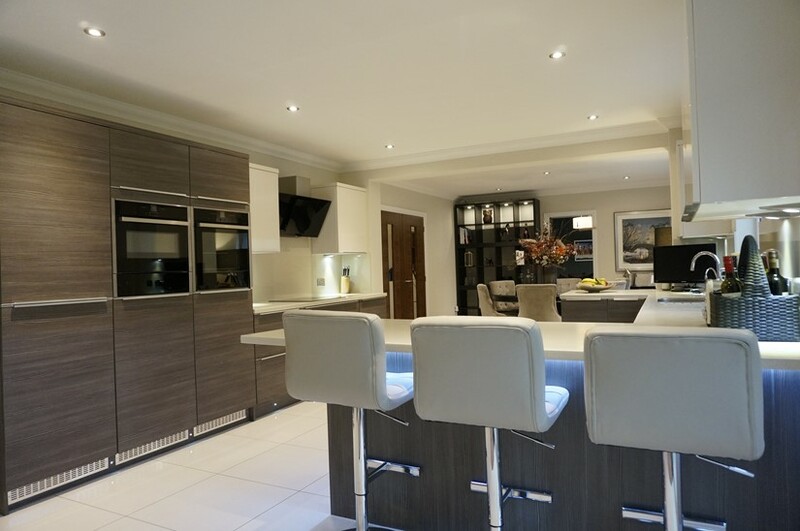 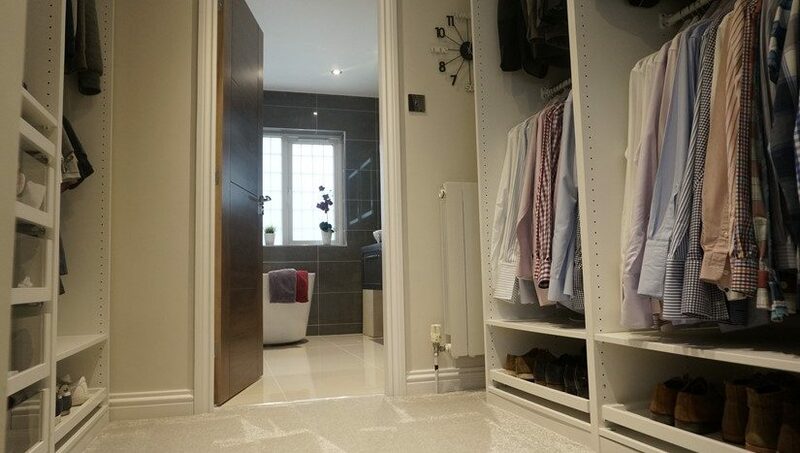 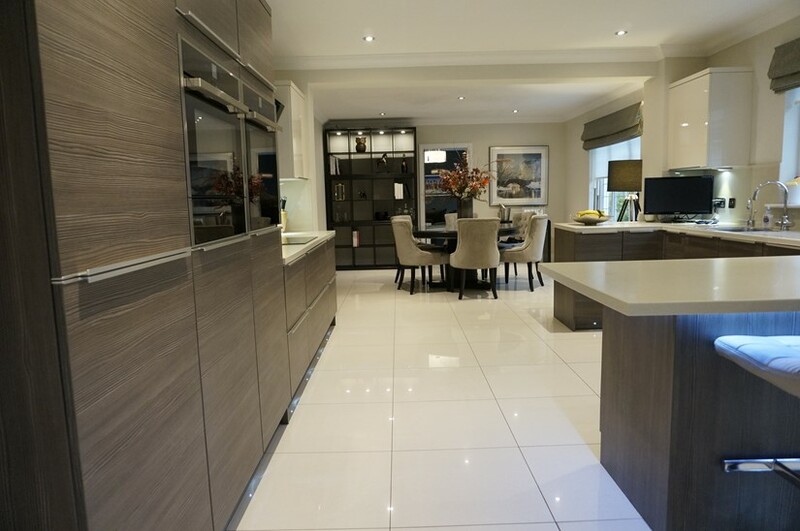 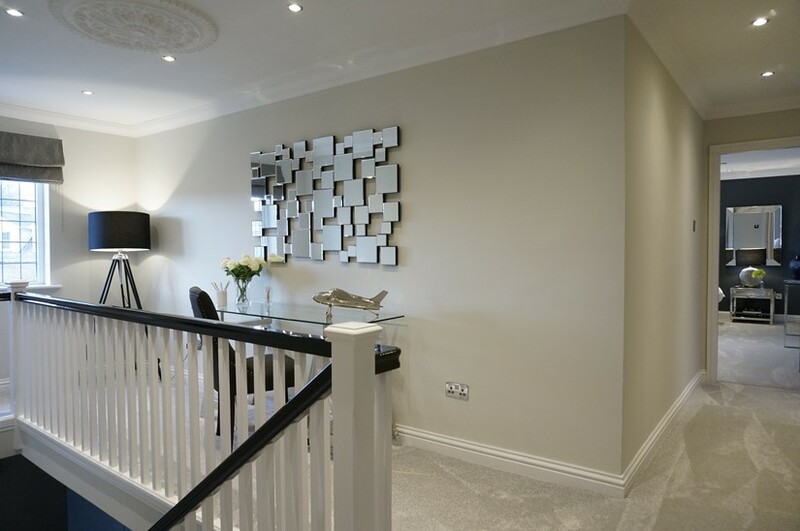 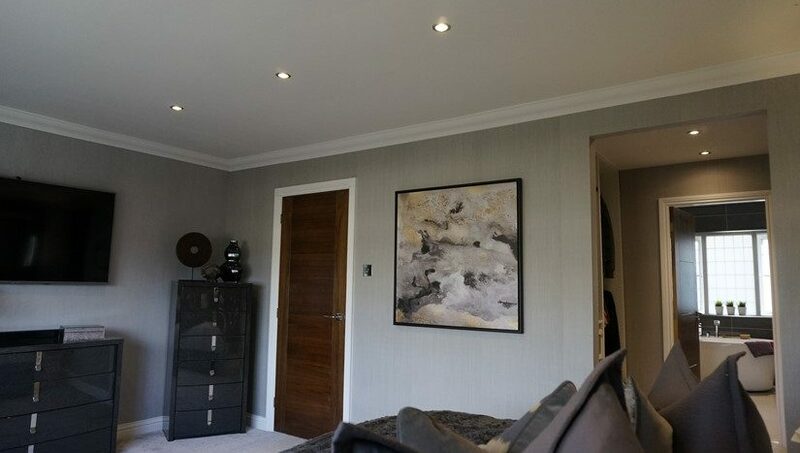 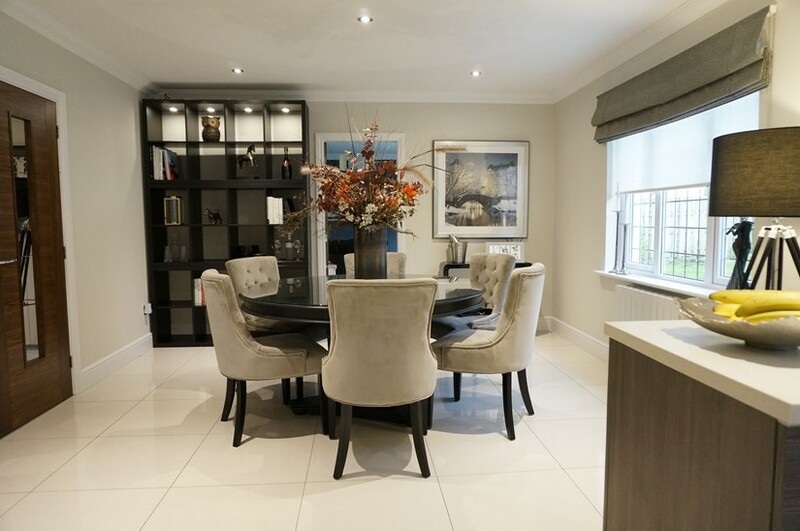 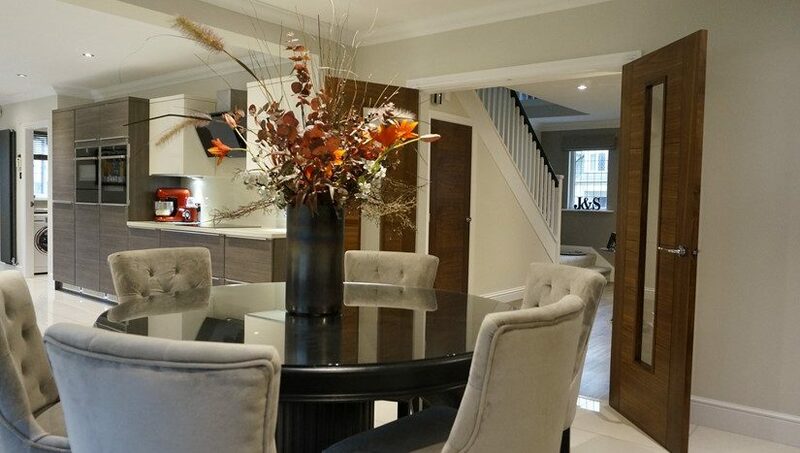 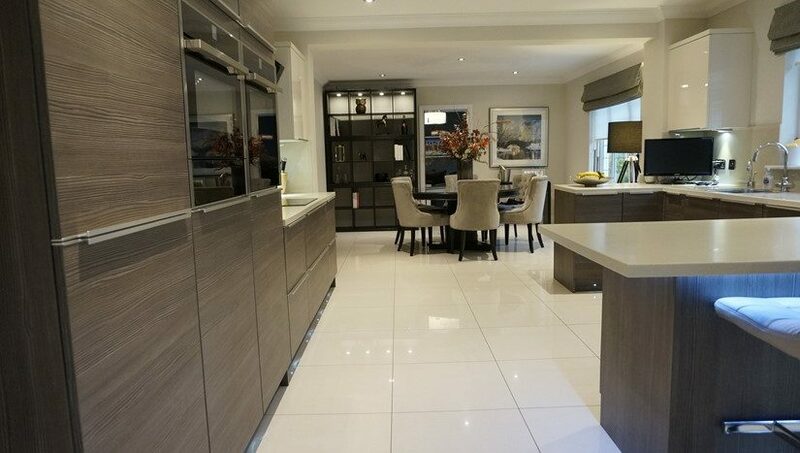 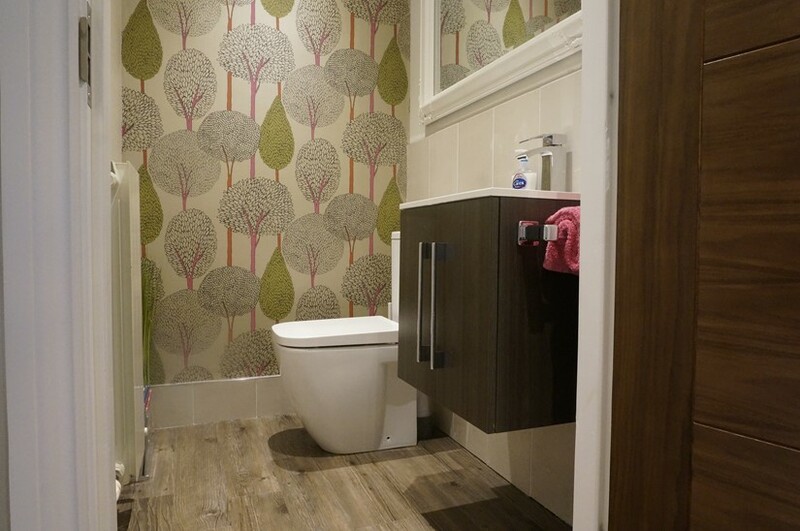 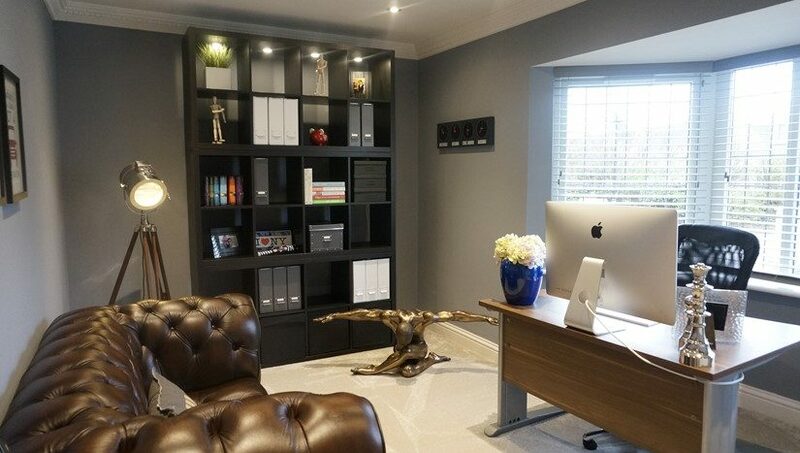 Quality Finishes Include Walnut Veneer Doors Throughout, Kardean Flooring and Porcelain Tiles. 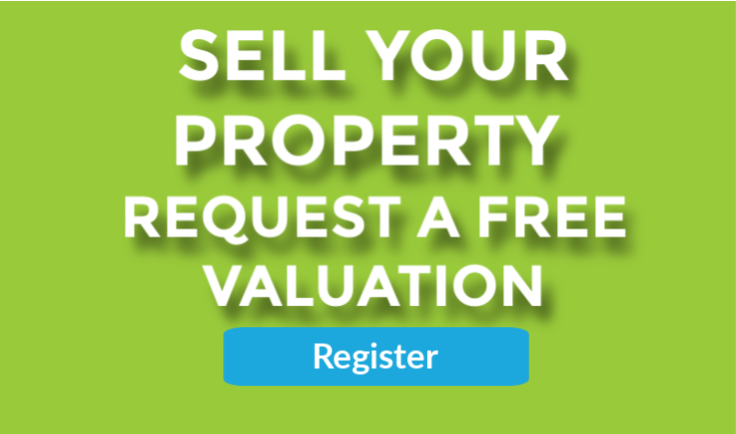 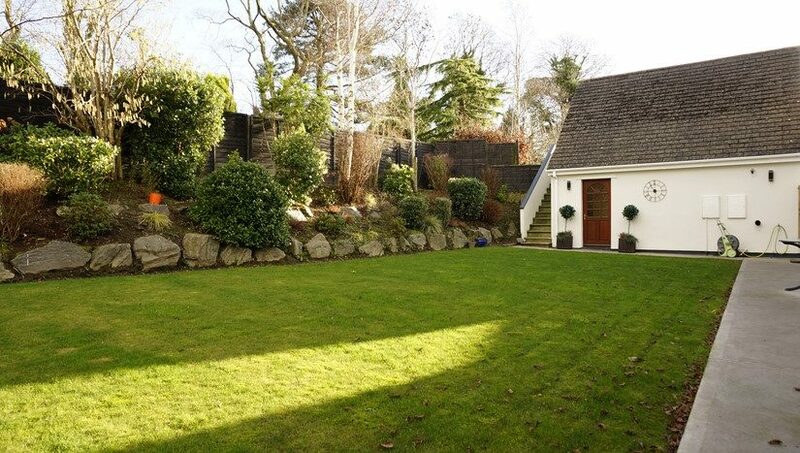 The Property is Situated in a Small, Quiet Residential Area and Centrally Located To Douglas, Castletown and Peel with Marown School a Very Short Walking Distance Away. 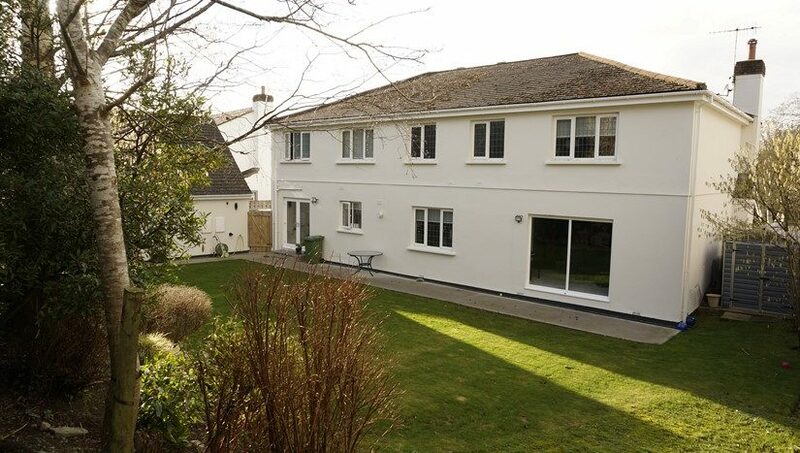 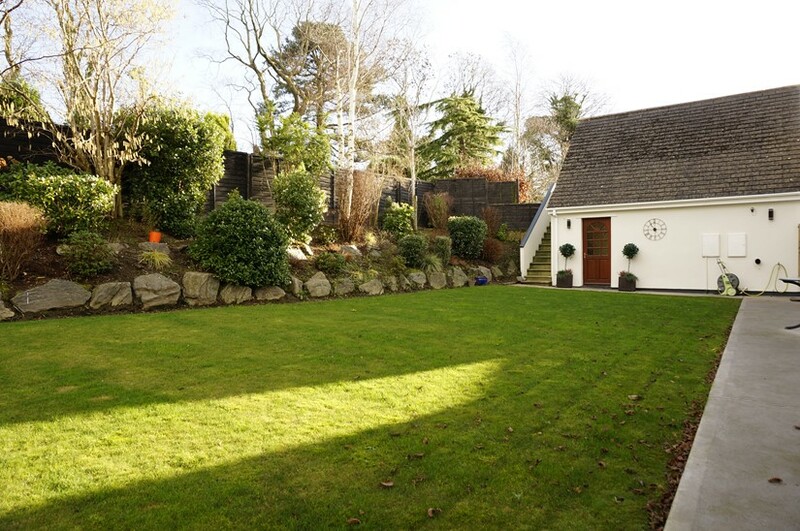 The Property has a Detached Double Garage with Large Studio/Games Room Above, Extensive Paved Driveway with Ample Off-Road Parking and Well Maintained Front and Rear Gardens. 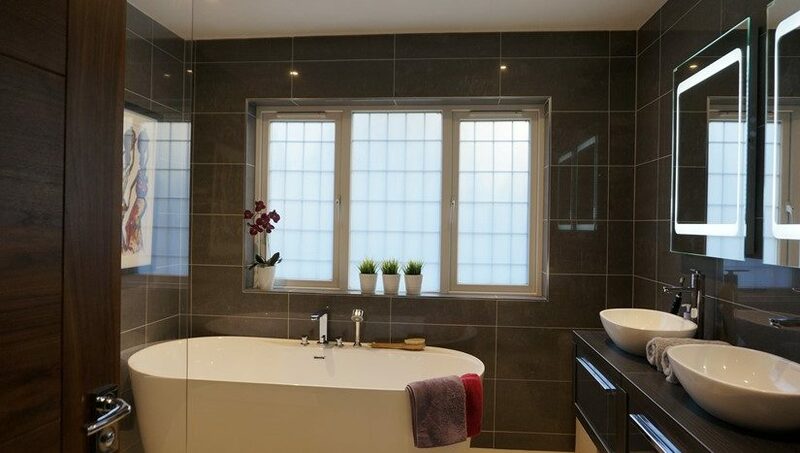 Upvc Glazing throughout, Oil Fired Central Heating with a brand new Boiler. 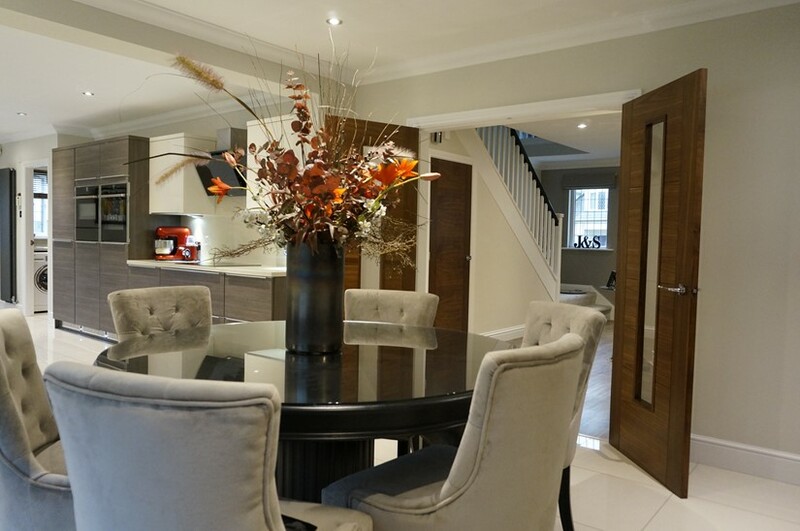 Large Reception Hall with Kardean Floor leading to Downstairs WC and Study, Lounge and Large Open Plan Dining Kitchen. 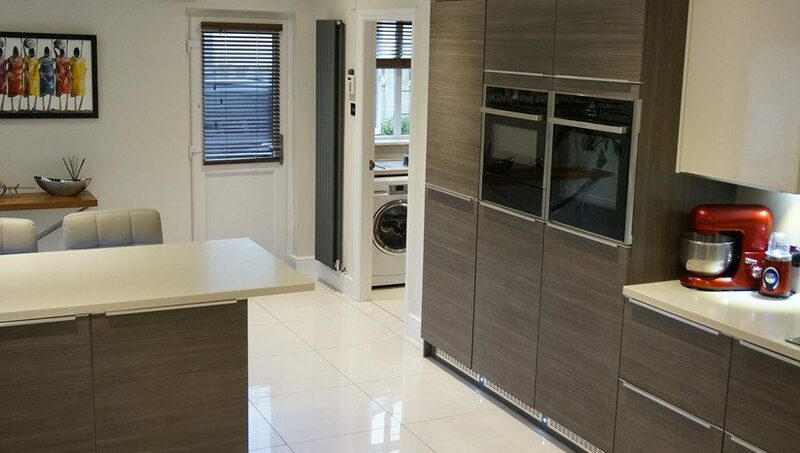 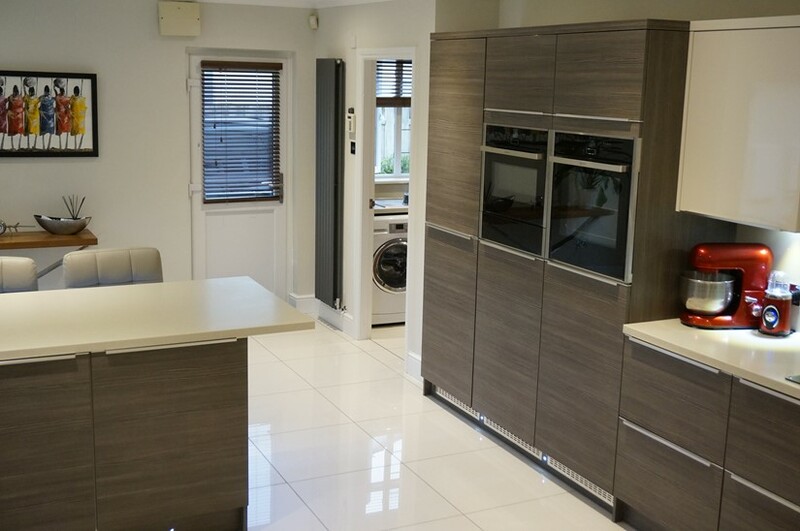 Large Dining Kitchen Fitted with Modern German Kitchen, Porcelain Floor Tiles, Integrated NEFF Ovens, Induction Hob, Filtered Boiling Hot and Cold Water Tap and Integrated Dishwasher. 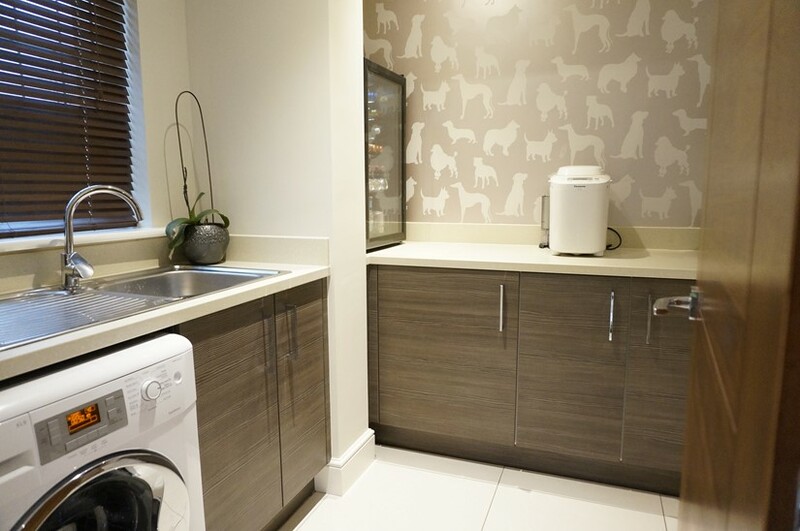 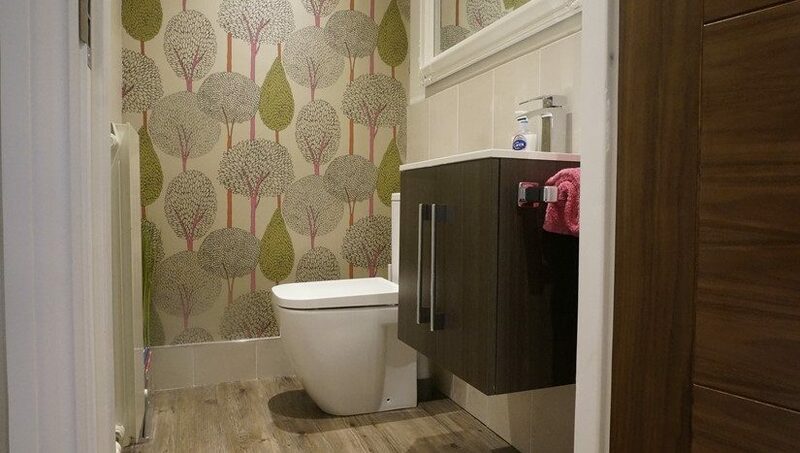 Utility Room Plumbed for Washing Machine and Tumble Dryer. 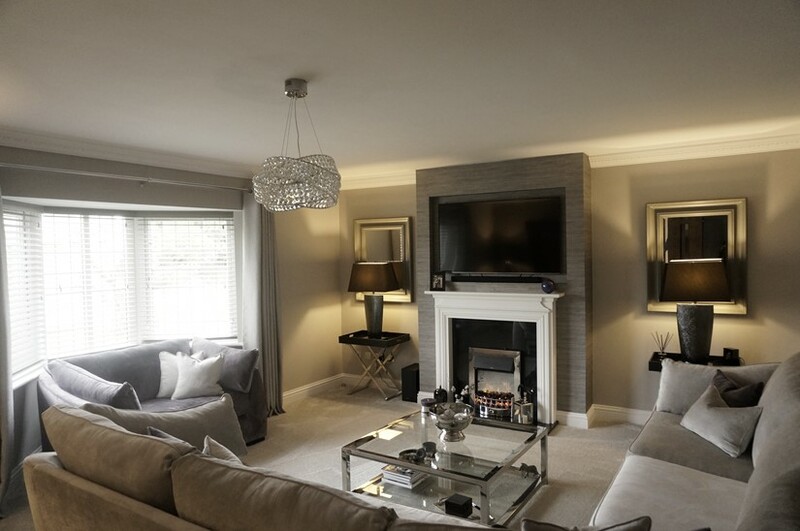 Snug/Family Room off Dining Kitchen with Large Picture Window Overlooking Rear Garden. 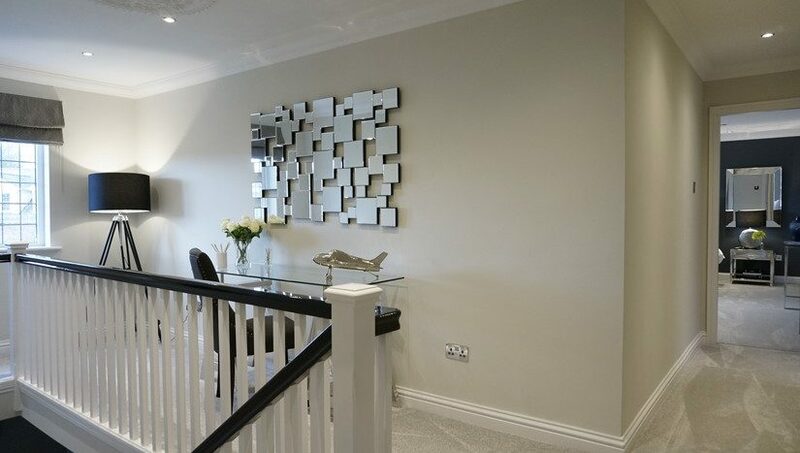 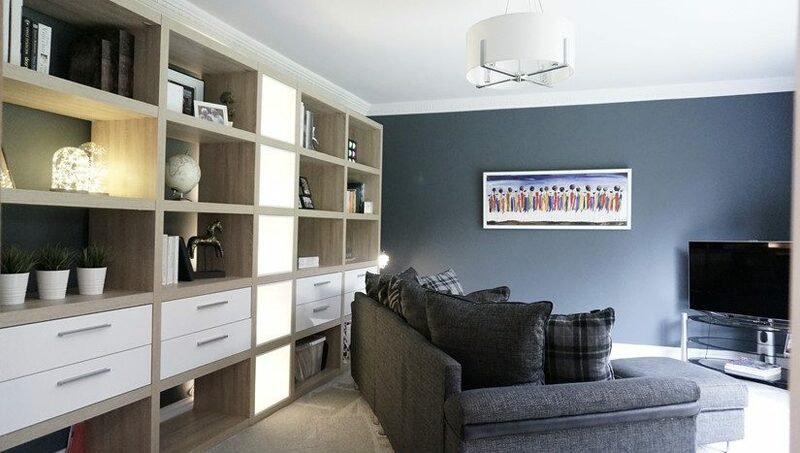 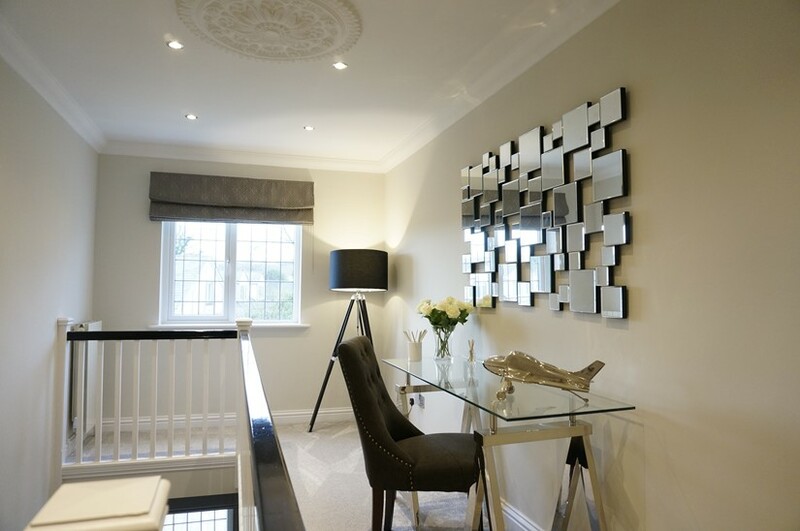 Staircase Leading up to a Spacious First Floor Gallery Landing with Space for a Desk/Reading Area; 4 Double Bedrooms and 4 En-Suite Shower Rooms and Ample Wardrobe Storage Space. 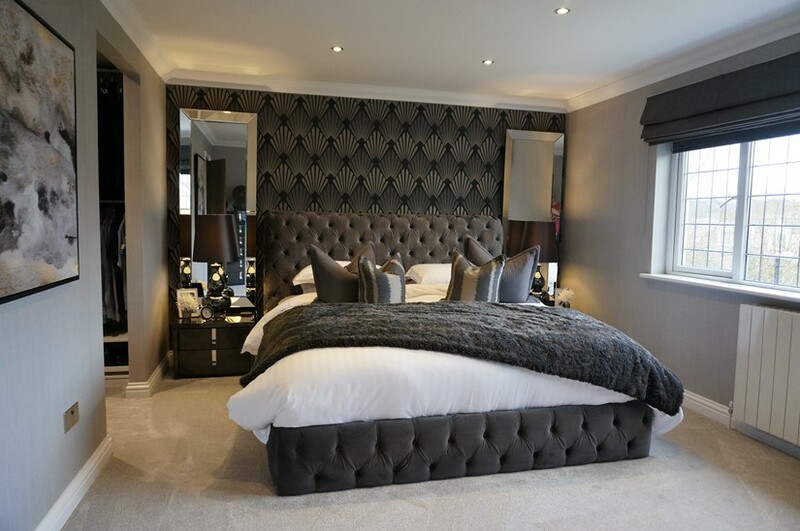 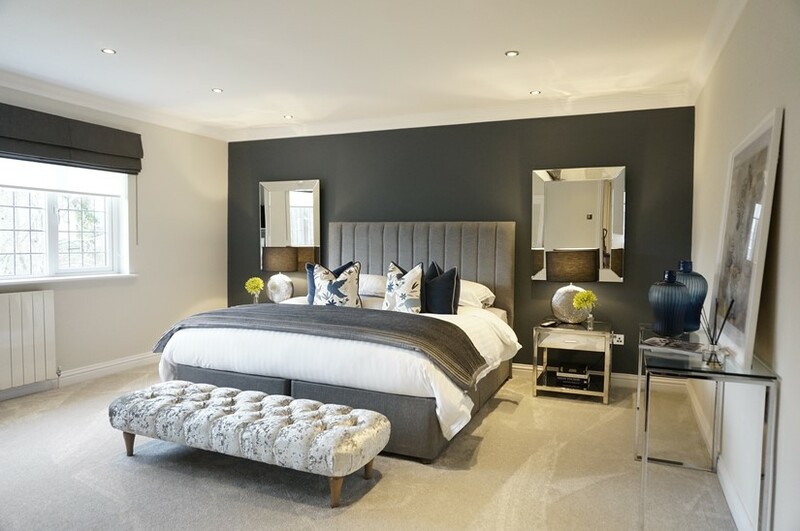 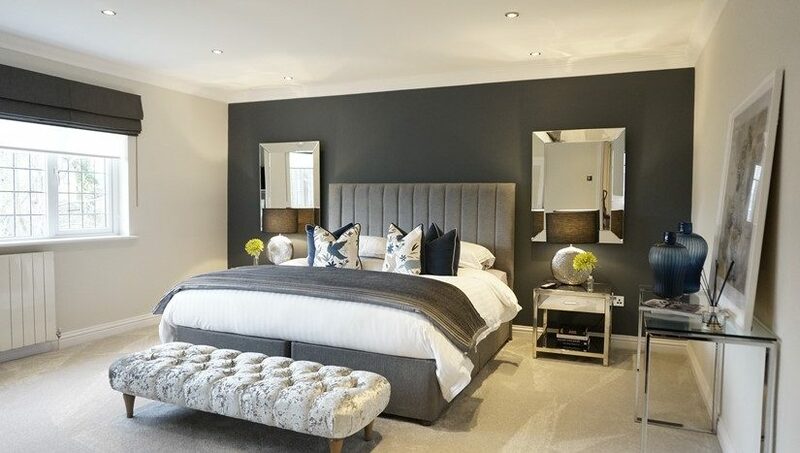 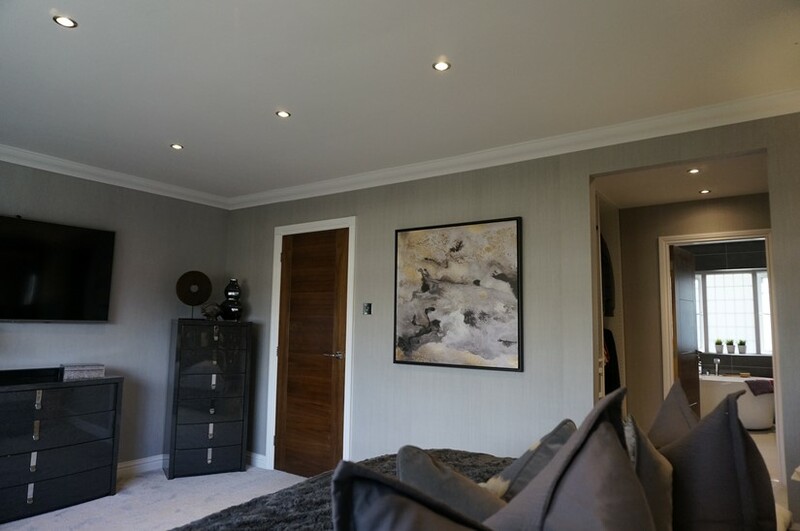 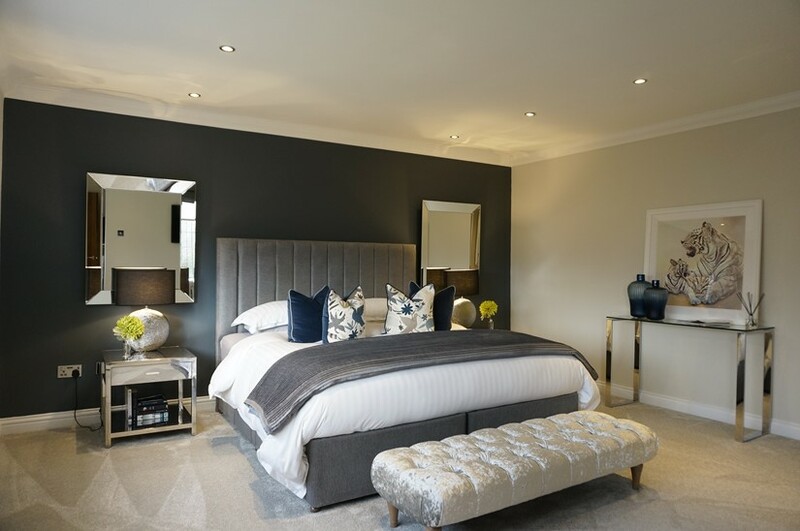 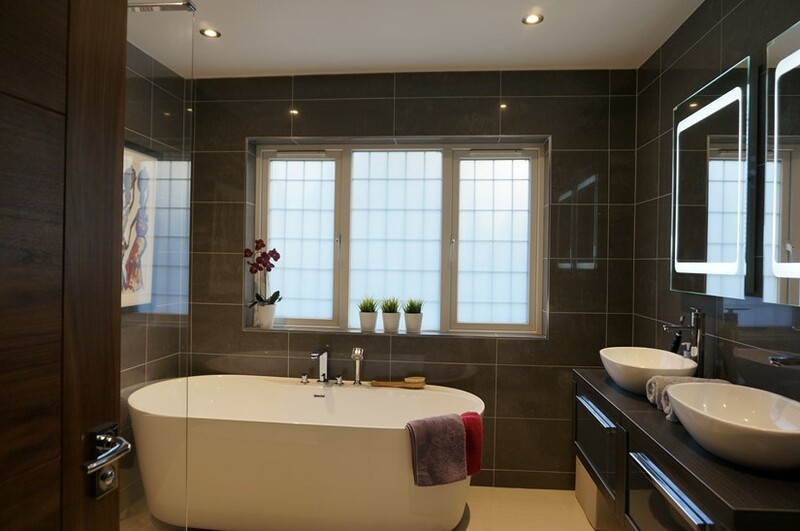 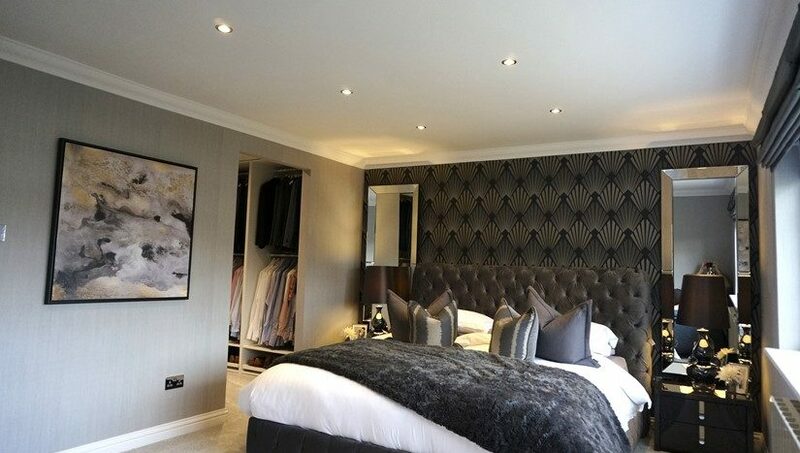 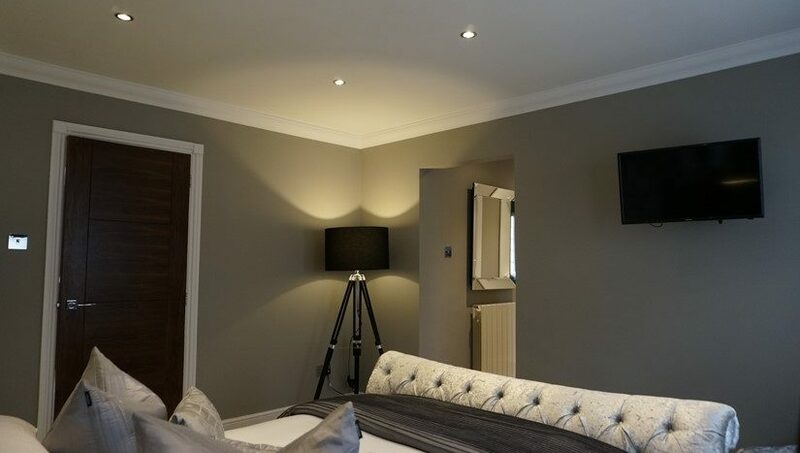 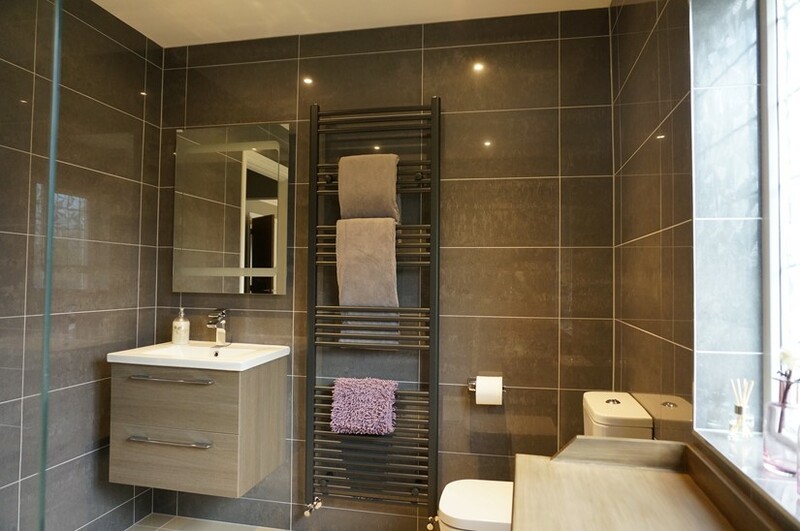 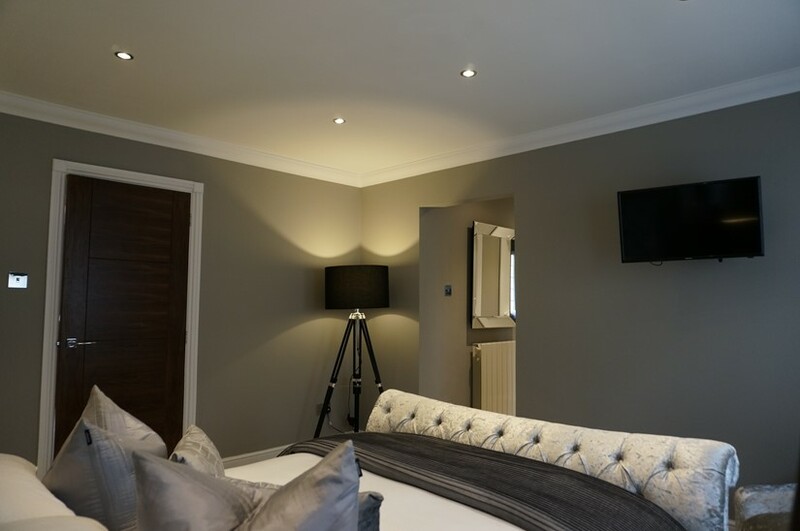 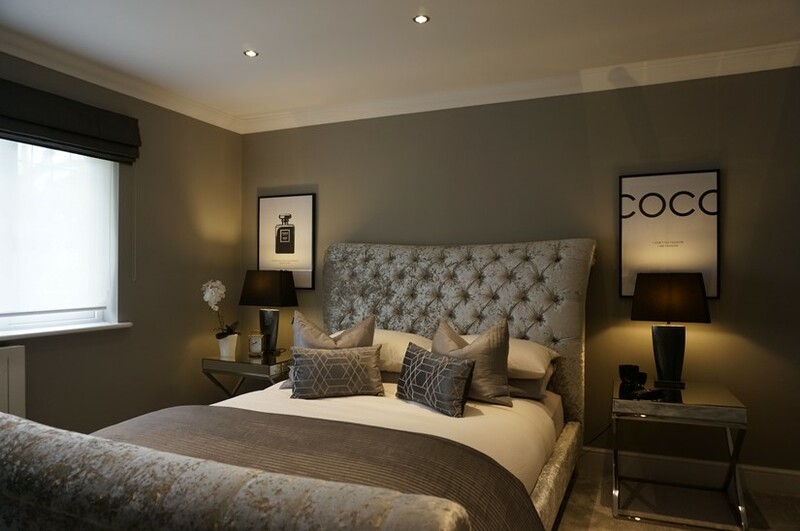 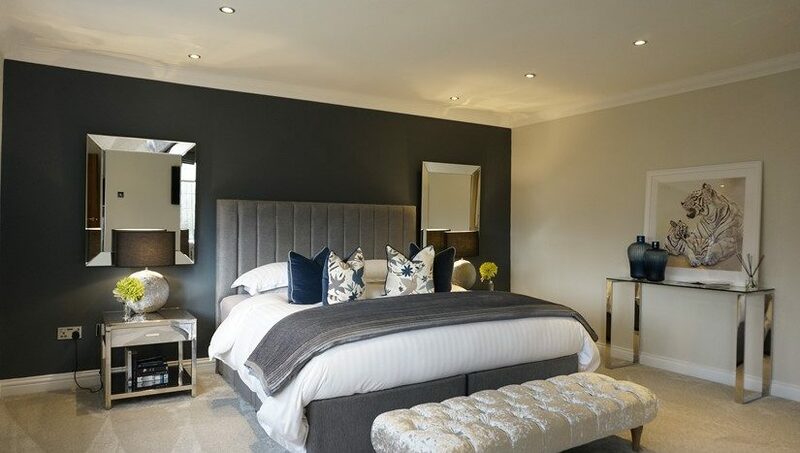 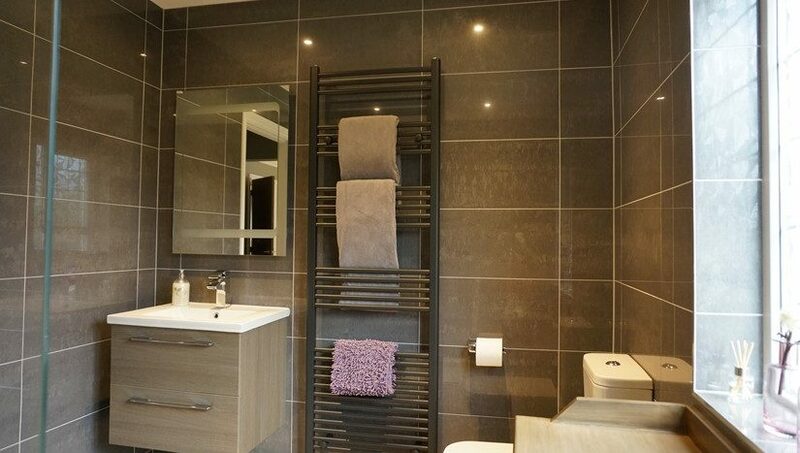 Master Bedroom with Dressing Room Leading Through to Fully Porcelain Tiled Modern En-Suite Bathroom With Free Standing Bath, Double Vanity Units and Large Walk-In Shower. 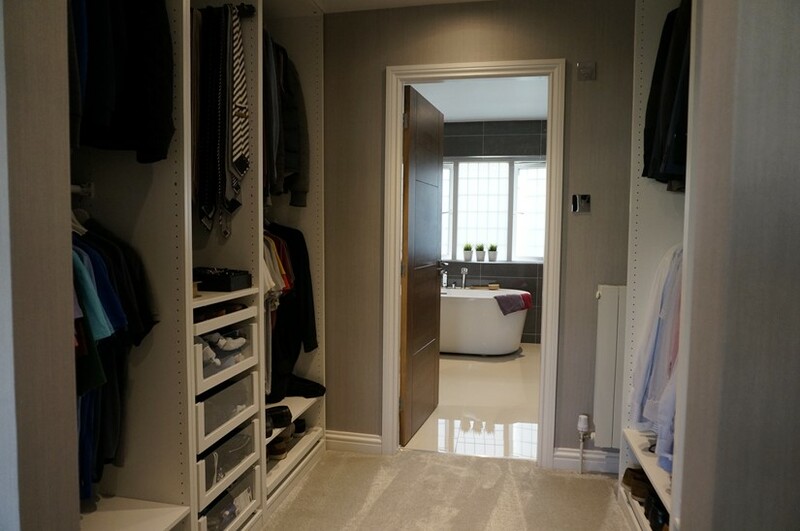 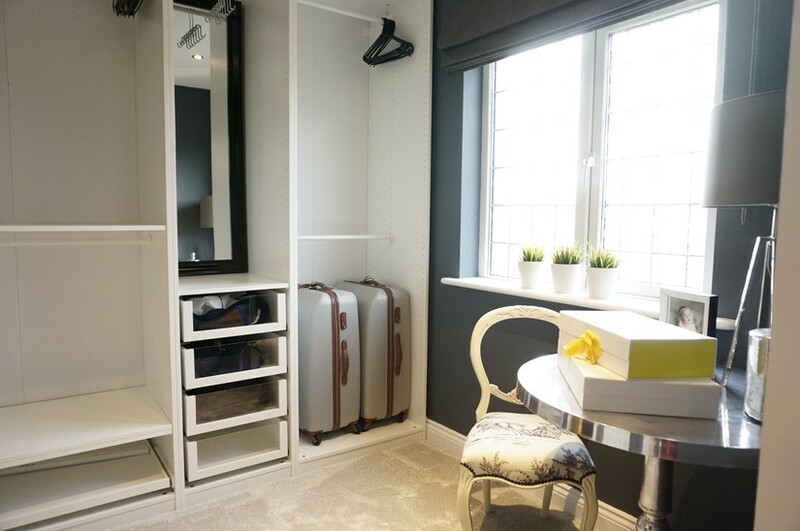 Bedroom 2 Leading Through to Dressing Room with Large Built-In Wardrobes and a Fully Porcelain Tiled En-Suite Bathroom, Vanity Unit and Large Walk-In Shower. 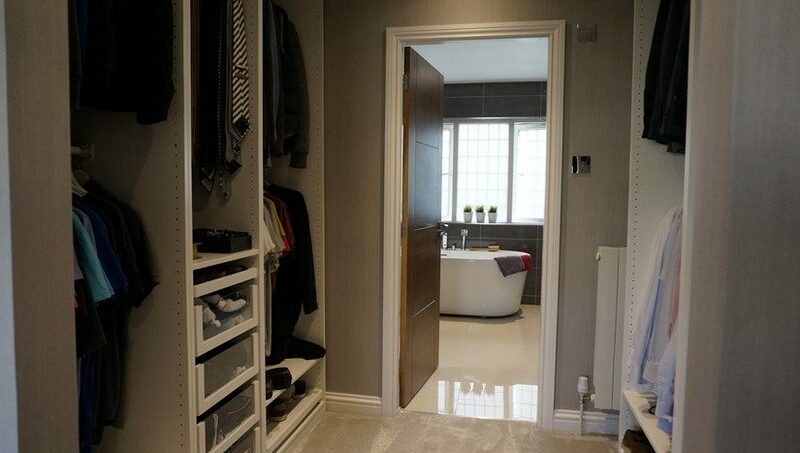 Bedroom 3 Leading Through to Dressing Room with Large Built-In Wardrobes and a Fully Porcelain Tiled Modern En-Suite Bathroom, Vanity Unit and Large Walk-In Shower. 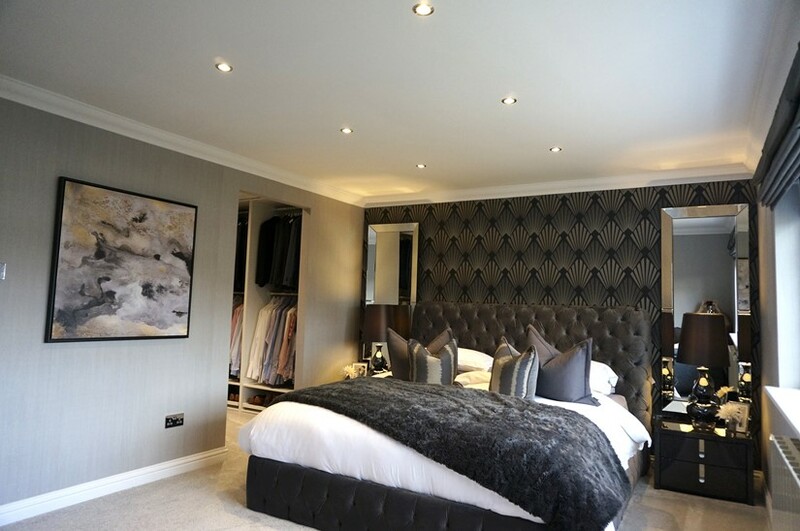 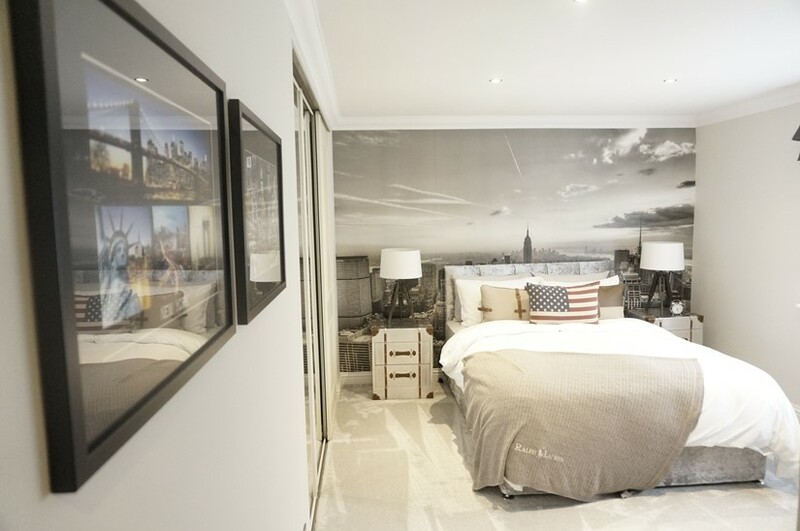 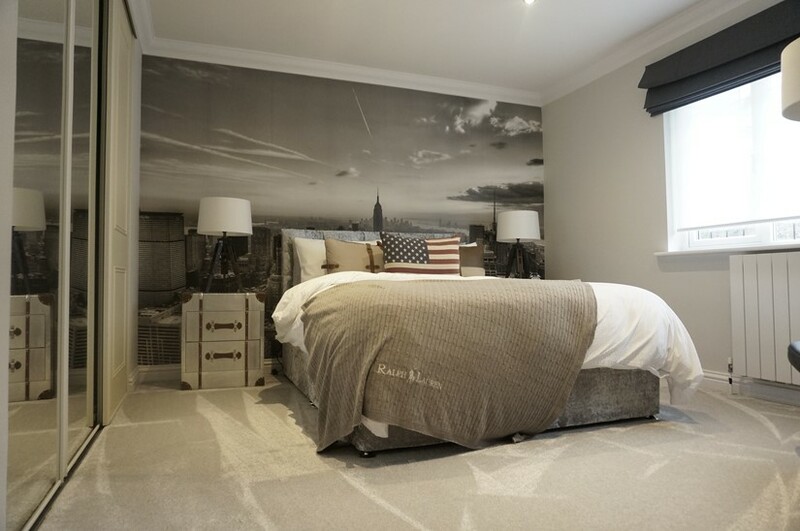 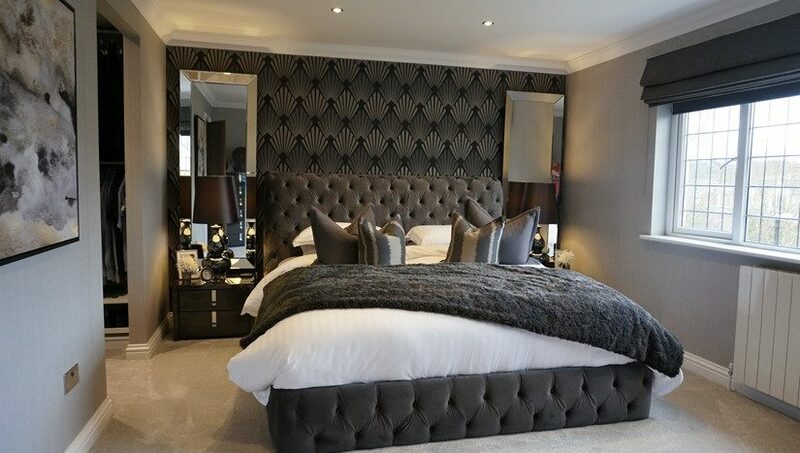 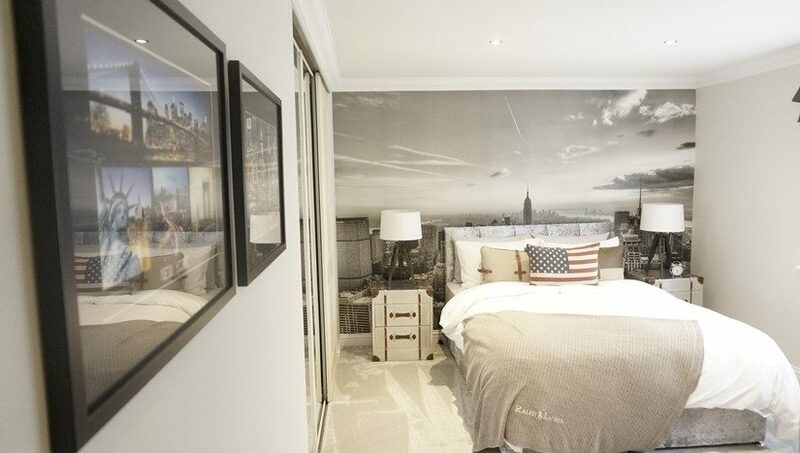 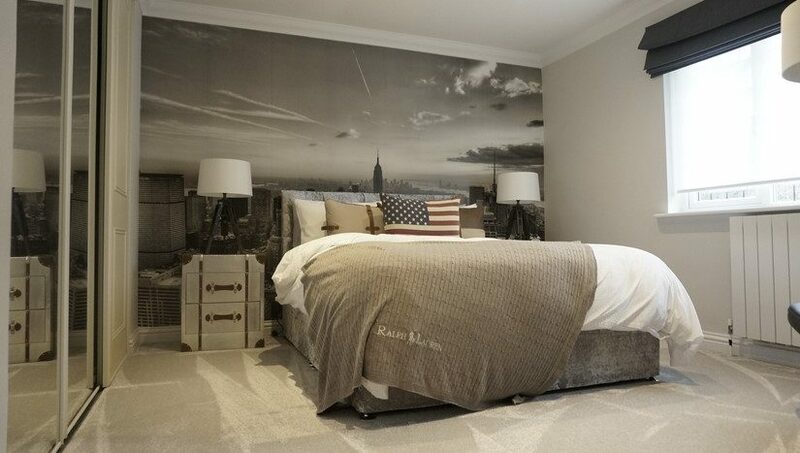 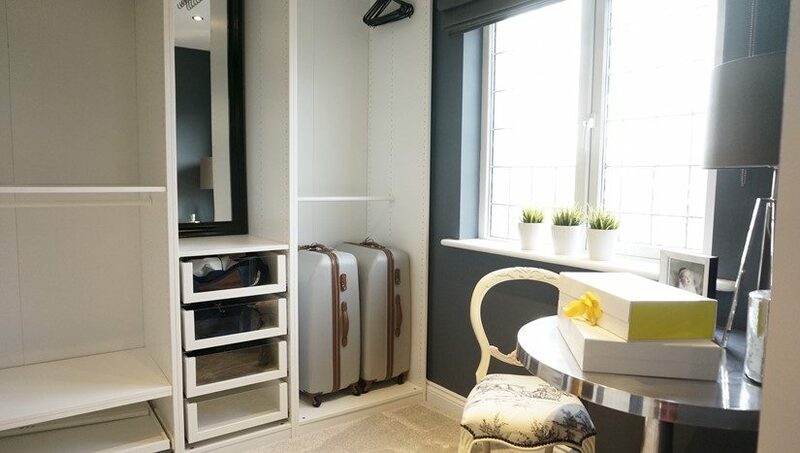 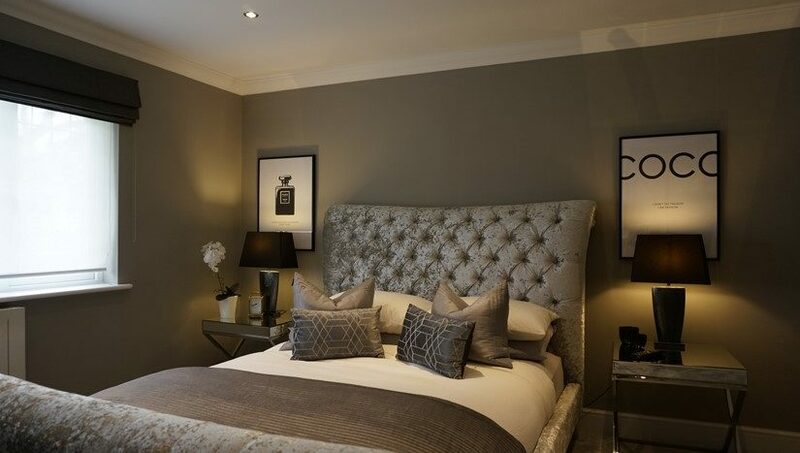 Bedroom 4 with Large Built-In Wardrobes and a Fully Porcelain Tiled Modern En-Suite Bathroom, Vanity Unit and Large Walk-In Shower.